And really only at the very end of his residence did he come up with this idea that would become Dynamic Yield. He came about it very much focused on the problem he saw with publishers being outwitted by ad buyers. He felt like all the big publishers really didn’t understand their digital businesses, didn’t understand their users, didn’t understand how performance ad buying was working, and he began to build a product that could dynamically optimize a publisher’s website to maximize revenue, hence the yield … the dynamic yield. Google might not be Adobe or Salesforce, but it has a particular set of skills, which fit nicely with retailer requirements and can over time help improve the customer experience, even if that means just simply making sure the website or app is running, even on peak demand. Today, at Google Cloud Next, the company showed off a package of solutions as an example its vertical strategy. Just this morning, the company announced a new phase of its partnership with Salesforce, where it’s using its contact center AI tools and chatbot technology in combination with Salesforce data to produce a product that plays to each company’s strengths and helps improve the customer service experience. But Google didn’t stop with a high profile partnership. It has a few tricks of its own for retailers, starting with the classic retailer Black Friday kind of scenario. The easiest way to explain the value of cloud scaling is to look at a retail event like Black Friday when you know servers are going to be bombarded with traffic. The cloud has always been good at scaling up for those kind of events, but it’s not perfect, as Amazon learned last year when it slowed down on Prime Day. Google wants to help companies avoid those kinds of disasters because a slow or down website translates into lots of lost revenue. The company offers eCommerce Hosting, designed specifically for online retailers, and it is offering a special premium program, so retailers get “white glove treatment with technical architecture reviews and peak season operations support…” according to the company. In other words, it wants to help these companies avoid disastrous, money-losing results when a site goes down due to demand. In addition, Google is offering real-time inventory tools, so customers and clerks can know exactly what stock is on hand, and it’s applying its AI expertise to this, as well with tools like Google Contact Center AI solution to help deliver better customer service experiences or Cloud Vision technology to help customers point their cameras at a product and see similar or related products. They also offer Recommendations AI, a tool, that says, if you bought these things, you might like this too, among other tools. The company counts retail customers like Shopify and Ikea. In addition, the company is working with SI partners like Accenture, CapGemini and Deloitte and software partners like Salesforce, SAP and Tableau. All of this is about creating a set of services created specifically for a given vertical to help that industry take advantage of the cloud. 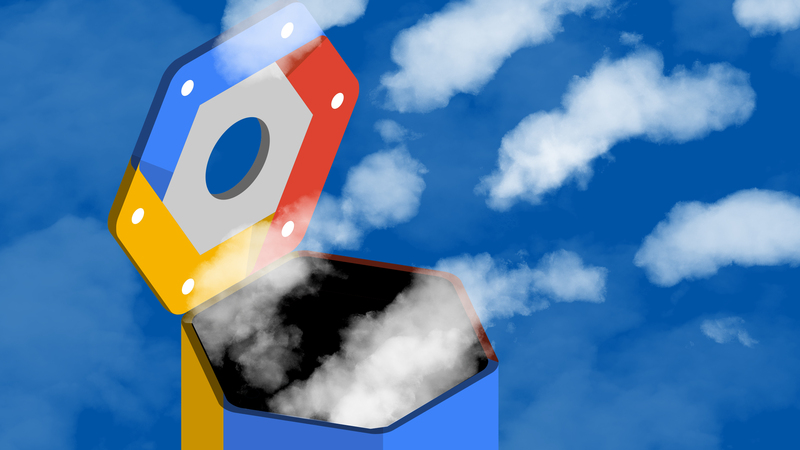 It’s one more way for Google Cloud to bring solutions to market and help increase its marketshare. Anyone who has dealt with bad customer service has felt frustration with the lack of basic understanding of who you are as a customer and what you need. Google and Salesforce feel your pain, and today the two companies expanded their partnership to try and create a smarter customer service experience. 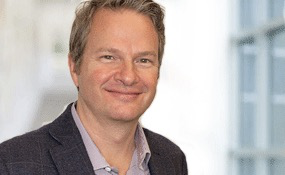 The goal is to combine Salesforce’s customer knowledge with Google’s customer service-related AI products and build on the strengths of the combined solution to produce a better customer service experience, whether that’s with an agent or a chatbot..
Bill Patterson, executive vice president for Salesforce Service Cloud, gets that bad customer service is a source of vexation for many consumers, but his goal is to change that. Patterson points out that Google and Salesforce have been working together since 2017, but mostly on sales- and marketing-related projects. Today’s announcement marks the first time they are working on a customer service solution together. For starters, the partnership is looking at the human customer service agent experience.”The combination of Google Contact Center AI, which highlights the language and the stream of intelligence that comes through that interaction, combined with the customer data and the business process information that that Salesforce has, really makes that an incredibly enriching experience for agents,” Patterson explained. The Google software will understand voice and intent, and have access to a set of external information like weather or news events that might be having an impact on the customers, while Salesforce looks at the hard data it stores about the customer such as who they are, their buying history and previous interactions. The companies believe that by bringing these two types of data together, they can surface relevant information in real time to help the agent give the best answer. It may be the best article or it could be just suggesting that a shipment might be late because of bad weather in the area. Google and Salesforce are hoping to change that by bringing together Einstein, Salesforce’s artificial intelligence layer and Google Natural Language Understanding (NLU) in its Google Dialogflow product to better understand the request, monitor the sentiment and direct you to a human operator before you get frustrated. Patterson’s department, which is on a $3.8 billion run rate, is poised to become the largest revenue producer in the Salesforce family by the end of the year. The company itself is on a run rate over $14 billion. “So many organizations just struggle with primitives of great customer service and experience. We have a lot of passion for making everyday interaction better with agents,” he said. Maybe this partnership will bring some much needed improvement. As Google Cloud Next opened today in San Francisco, Accenture announced its intent to acquire Cirruseo, a French cloud consulting firm that specializes in Google Cloud intelligence services. The companies did not share the terms of the deal. Accenture says that Cirruseo’s strength and deep experience in Google’s cloud-based artificial intelligence solutions should help as Accenture expands its own AI practice. Google TensorFlow and other intelligence solutions are a popular approach to AI and machine learning, and the purchase should help give Accenture a leg up in this area, especially in the French market. “The addition of Cirruseo would be a significant step forward in our growth strategy in France, bringing a strong team of Google Cloud specialists to Accenture,” Olivier Girard, Accenture’s geographic unit managing director for France and Benelux said in a statement. With the acquisition, should it pass French regulatory muster, the company would add a team of 100 specialists trained in Google Cloud and G Suite to the an existing team of 2,600 Google specialists worldwide. The company sees this as a way to enhance its artificial intelligence and machine learning expertise in general, while giving it a much stronger market placement in France in particular and the EU in general. As the company stated, there are some hurdles before the deal becomes official. “The acquisition requires prior consultation with the relevant works councils and would be subject to customary closing conditions,” Accenture indicated in a statement. Should all that come to pass, then Cirruseo will become part of Accenture.